Travelling Bahamas is (relatively) safe. 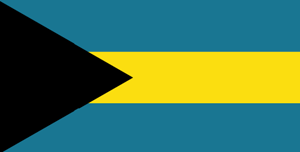 Bahamas is a country in North America (Caribbean) with around 1 million citizens and a land mass of 13,940 km². We detected travel advisories from 4 sources for this country. Exercise increased caution in The Bahamas due to crime. Violent crime, such as burglaries, armed robberies, and sexual assault, occurs even during the day and in tourist areas. Although the family islands are not crime-free, the vast majority of crime occurs on New Providence and Grand Bahama islands. U.S. government personnel are not permitted to visit the area known by many visitors as the Sand Trap area in Nassau due to crime. Activities involving commercial recreational watercraft, including water tours, are not consistently regulated. Watercraft are often not maintained, and many companies do not have safety certifications to operate in The Bahamas. Jet-ski operators have been known to commit sexual assaults against tourists. As a result, U.S. government personnel are not permitted to use jet-ski rentals on New Providence and Paradise Islands. Read the Safety and Security section on the country information page.